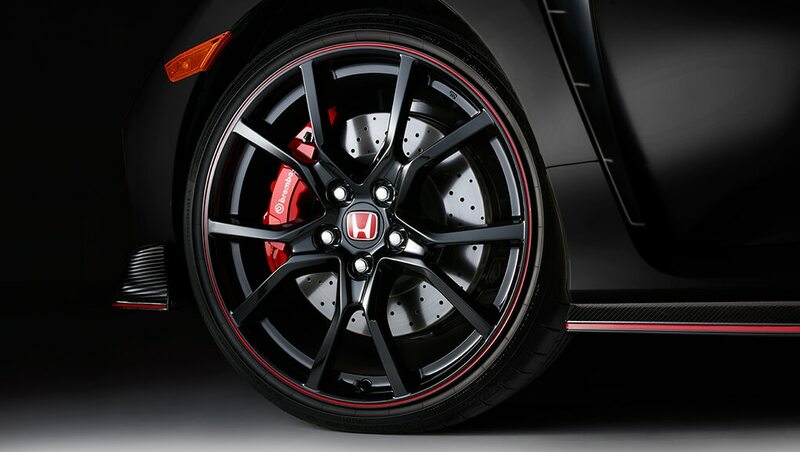 In piano black with red accents, the 20" aluminum-alloy wheels grab as much attention as they do asphalt. 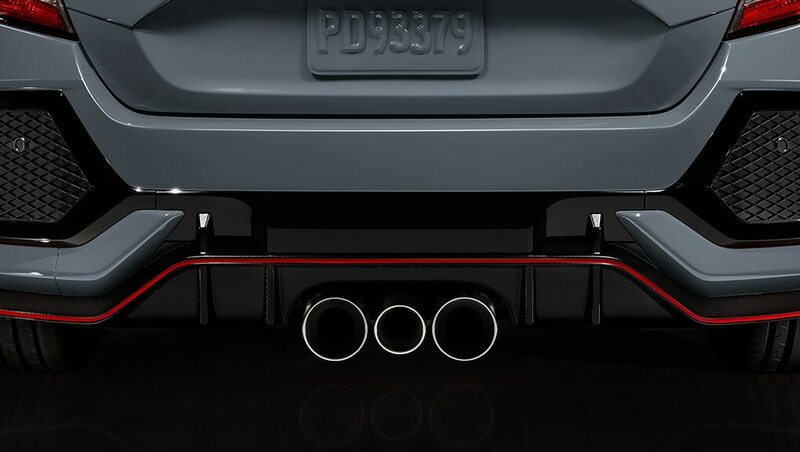 Triple centre exhausts capture the spirit of the racetrack and control the exhaust tone, while chrome finishing proves that raw power doesn’t have to come at the cost of refinement. 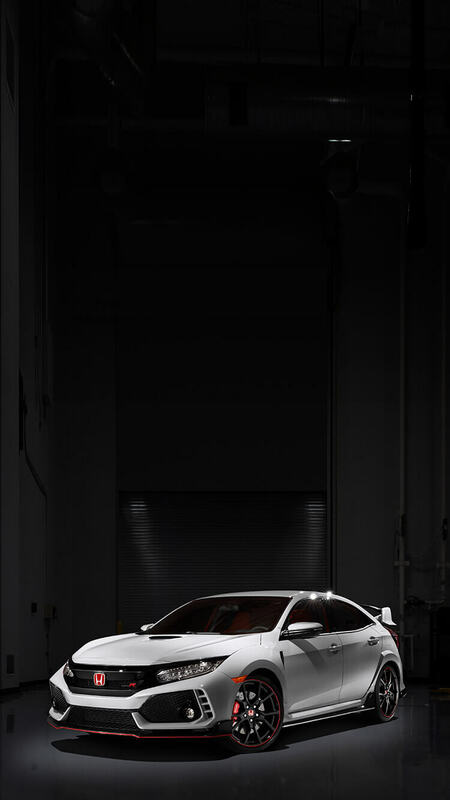 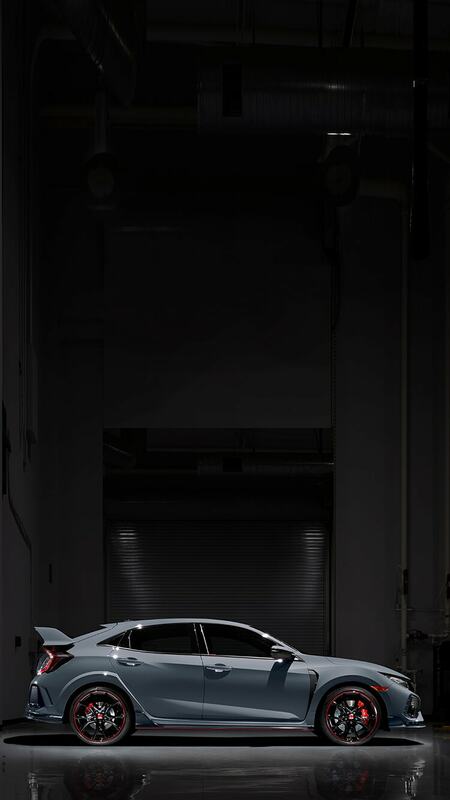 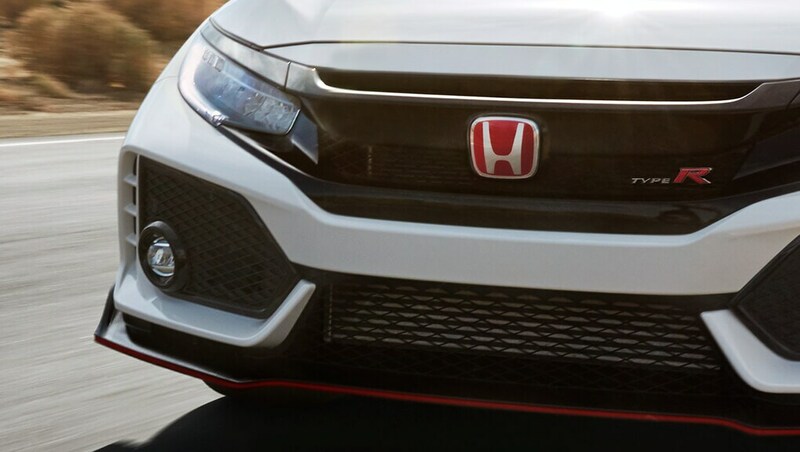 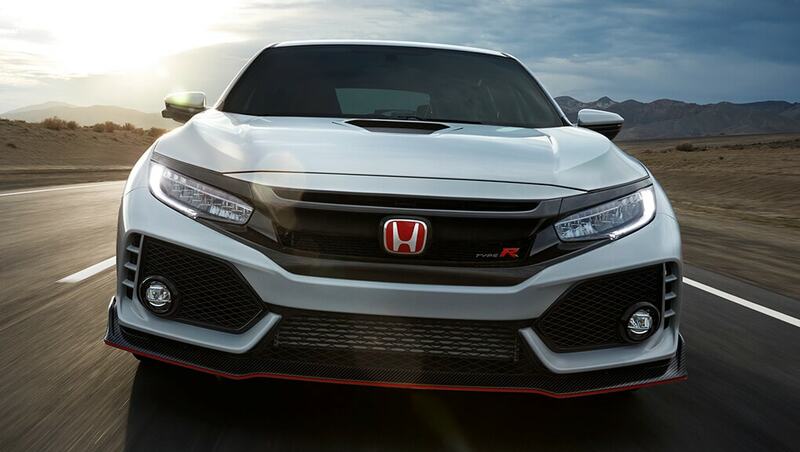 The Civic Type R combats weight with an aluminum hood, lowering overall weight to help free up precious performance. 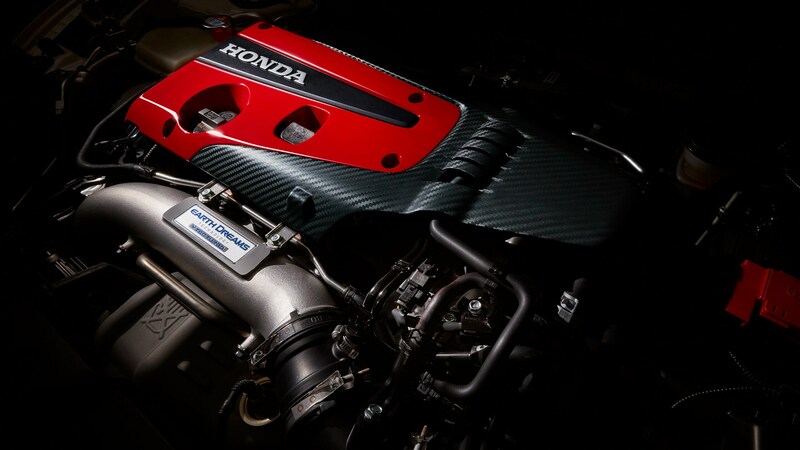 A sleek yet striking air intake helps to cool the high-performance engine within. 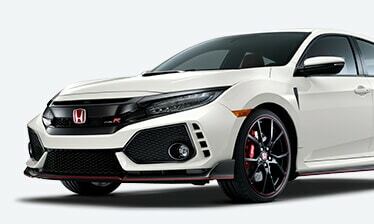 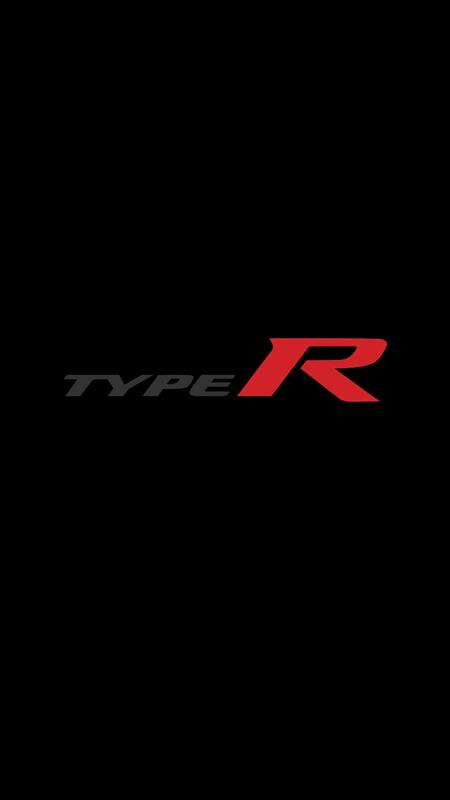 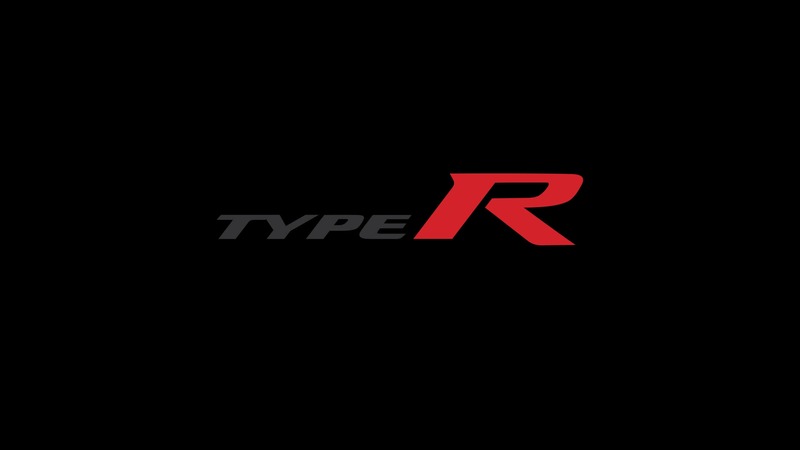 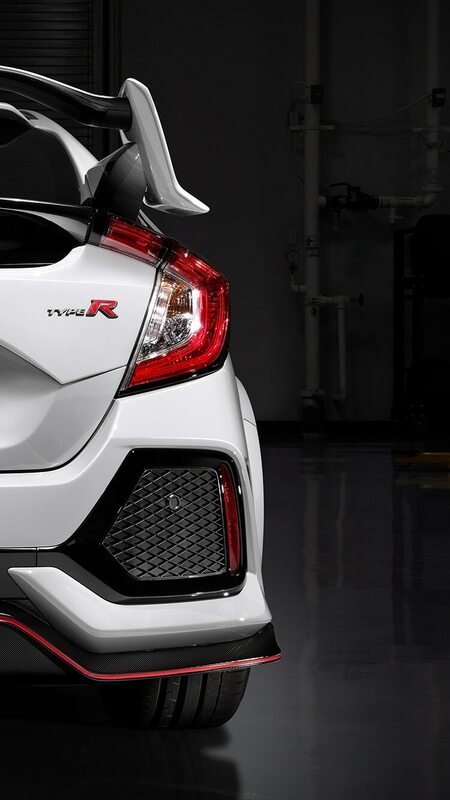 The Civic Type R has always been shaped by the modern racetrack. 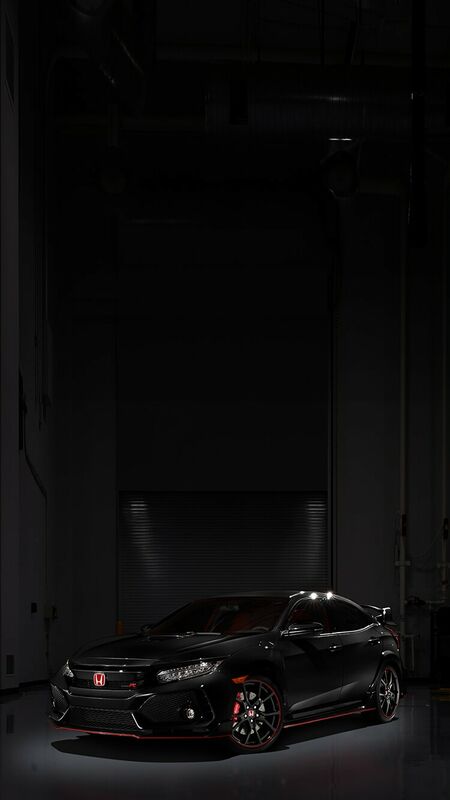 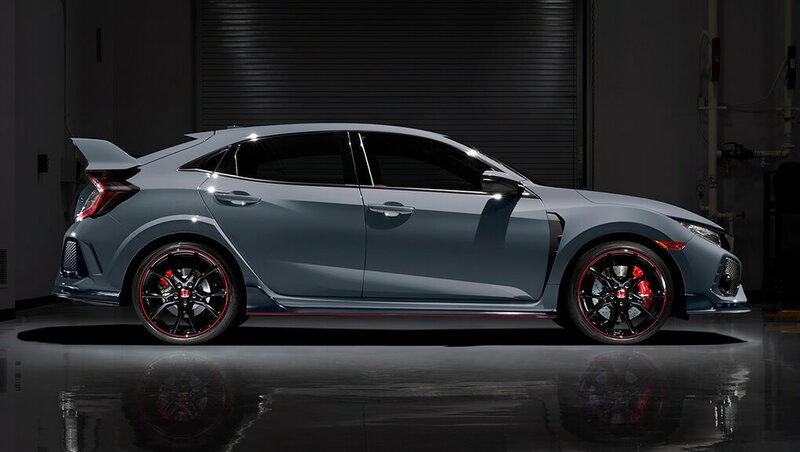 And this tradition continues with a skirt package consisting of front, side and rear spoilers with a crisp red, racing-inspired styling line. 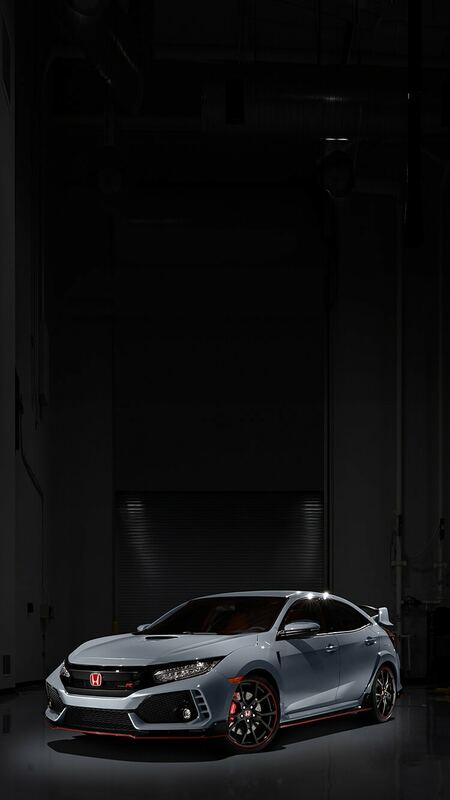 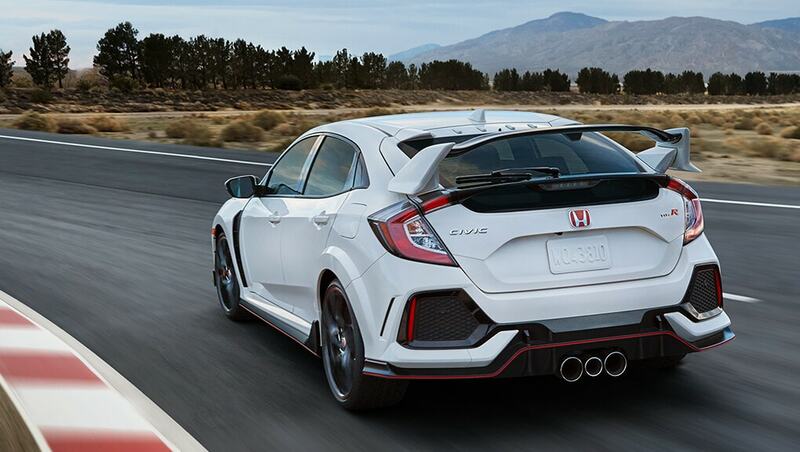 A swooping, aggressive rear wing spoiler does more than turn heads. 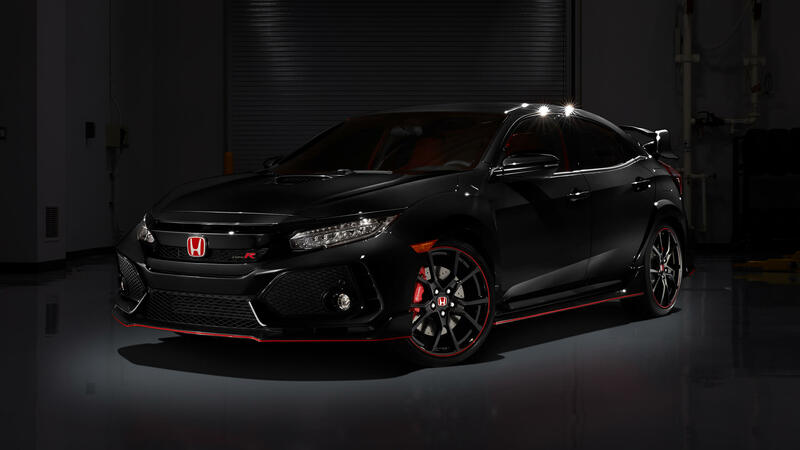 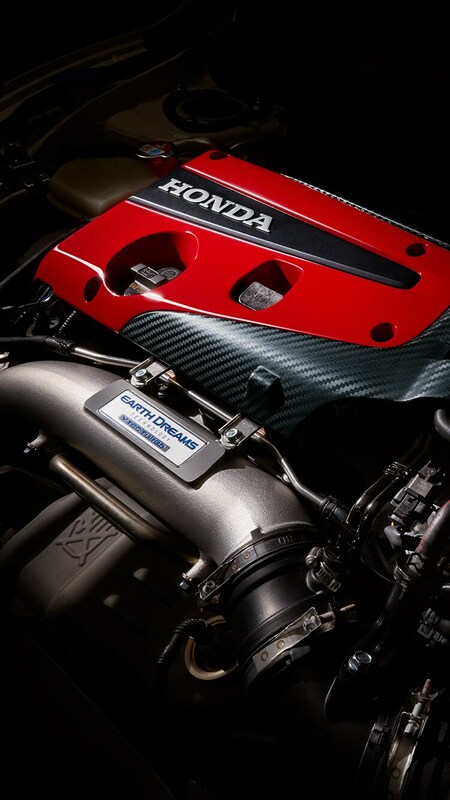 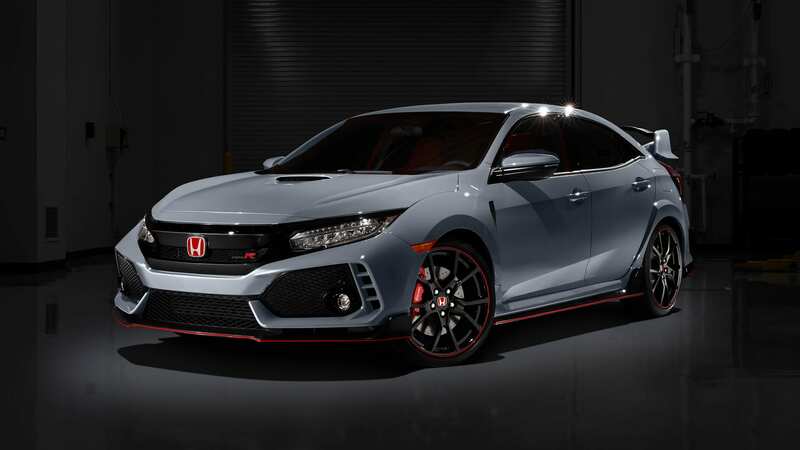 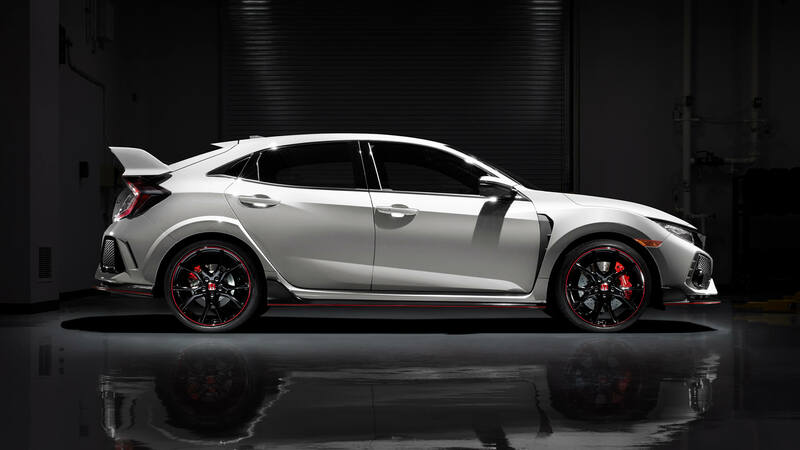 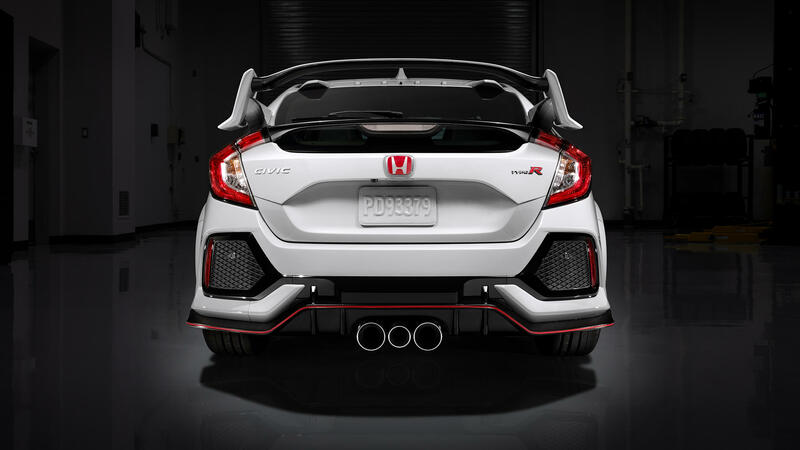 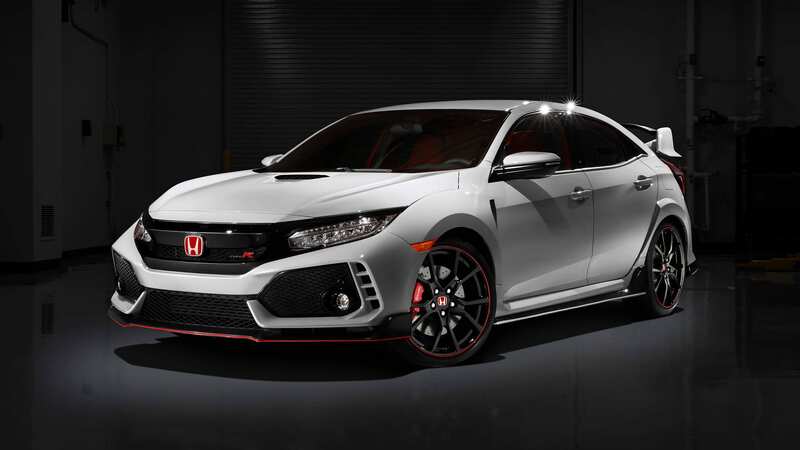 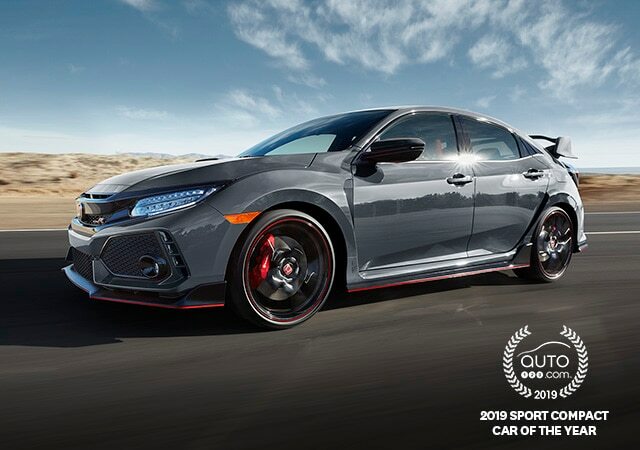 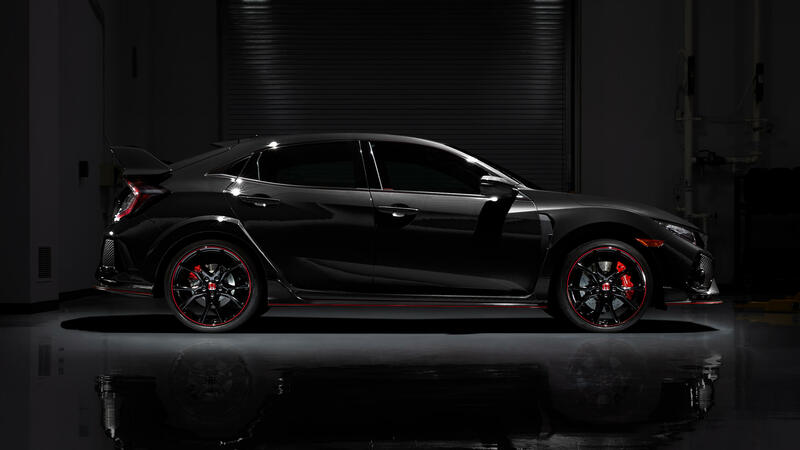 It is designed to help keep the Civic Type R grounded by generating down force for enhanced handling and control. The ruler of the Ring.